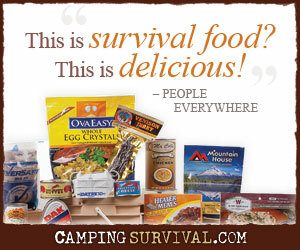 Laura and I have been hoping for the best and preparing for the worst for quite a while now, but it wasn’t until April of 2011 that we started sharing our experiences and what we’ve learned along the way with others in the form of PreppingToSurvive. Explain the need we feel for preparing for an uncertain future. Discuss hesitations, concerns, and common objections to prepping that others may harbor. Share common sense approaches to preparing for the future. Provide insight into the physical, emotional, mental, and even spiritual requirements for surviving in a post-TEOTWAWKI world. Over time, our goals haven’t changed. That’s still what we strive to do. We’ve continued to learn new information and develop new skills. We are continually trying to improve our knowledge and deepen our coffers. And we’ve learned a lot from you, from your comments and guest posts. So thank you for participating in this community! Today, we’ve reached a new milestone. This is our 500th post! So to commemorate it, we thought we’d share our 10 most popular posts of all time. When the end of the world as we know it (TEOTWAWKI) arrives, we will be suddenly thrust into a new reality, one where scarcity and want are prevalent. At that point it’s too late to begin acquiring the skills, tools, and supplies you’ll need. They’ll simply be too hard to come by. The end of the world as we know it (TEOTWAWKI) will, of course, bring with it many now unfathomable changes in our daily lives. Cellphones, computers, and other items currently considered necessities may have little value in the world to come. Conversely, other items now considered trivial may become prominent and indispensable tools for survival. When the need to prepare for an uncertain future becomes a pressing reality for the new prepper, it’s easy to get overwhelmed. There are so many things to buy and to do that it becomes almost paralyzing. “Where to start?” becomes the question at the forefront of their minds. A while back, I posted a series of pieces on why and how you should protect your food for the long-term. I suggested ways to get rid of pests and keep out oxygen and light so that the food would remain viable and nutritious for longer periods of time. The main way I proposed was by sealing the food in Mylar bags and then placing them in plastic buckets with tight fitting lids. Honey has long been a valued foodstuff. Unlike sugar cane and other sources of sweetness, the work is just about all done for you. You don’t have to plant, weed, or harvest anything. You let the bees do what God programmed them to do and you get a share. Being the good little preppers that they are, they store about 3 times more honey than they need to survive the winter. Happy 2012! We hope that you had a good Christmas and a wonderful and safe New Year. As you may have noticed, we took some time off between the two holidays but we’re back at it now that the new year is upon us. We thought it might be a fun way to kick off the new year to poke a little fun at ourselves as preppers. To the unconvinced, our lifestyle and financial choices are unusual. So Joe and I came up with some things that definitely tag us as preparedness-minded people. When some people think of prepping, it conjures images of strange people wearing tinfoil hats huddled in a shelter while they wait for the mothership to return. For others, thoughts of a recluse living in a one room shack in the middle of rural Montana comes to mind. 8. What’s The Difference In A Carbine And A Rifle? What’s the difference between a carbine and a rifle? Or is there really a difference at all? Is this simply a case of To-may-to or To-mah-to? This question is the source of a confusion for many people. And with good reason. Over the years, the term carbine has been used inconsistently by weapon manufacturers and their customers. When it comes to protecting your family and home from would be intruders, one area to focus on in regard to home defense is owning a weapon. And choosing the right weapon to protect your loved ones is a serious responsibility, one that should be carefully researched. I don’t need to tell you why your family needs safe potable water as well as long term food storage, first aid kits, and other survival gear to survive the aftermath of an emergency or disaster. People can live for days or even weeks without food but no one survives past 4 or 5 days without water. Living on very short rations an “average” person can survive on a minimum of one gallon of water for replacement of normal activities loss, per day. At that drastically minimal rate a family of four will require 120 gallons of potable water to survive for 30 days.